Premium products, informative pre-installation consulting, and professional service are hallmarks of Superior Seamless Gutters. We are committed to providing exceptional work at affordable prices. 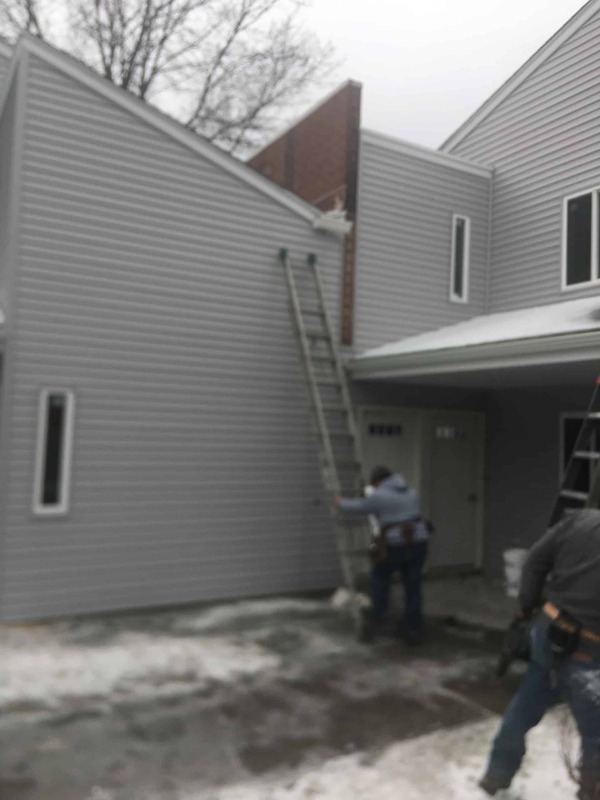 From residential homes and condominium complexes to all types of commercial buildings, we do them all. My experience with Superior Seamless Gutters was very favorable. They were professional, courteous, on time and provided quality workmanship at an affordable price. I would recommend them without hesitation to anyone looking to replace or service their gutters. Fred G.
As our name states, we sell and install seamless gutters. Unlike traditional gutter systems, seamless gutters do not have joints. This lack of a seam provides protection against leaks, cracks and rust. We measure the length of the run you need and determine the best gutter width for optimal water flow and drainage. All installation is done by an experienced team of gutter professionals to ensure your new system doesn’t leak or sag. Choose from a variety of colors to complement your building’s exterior. Sometimes fixing a gutter leak is as simple is replacing an elbow joint or re-attaching a loose section. 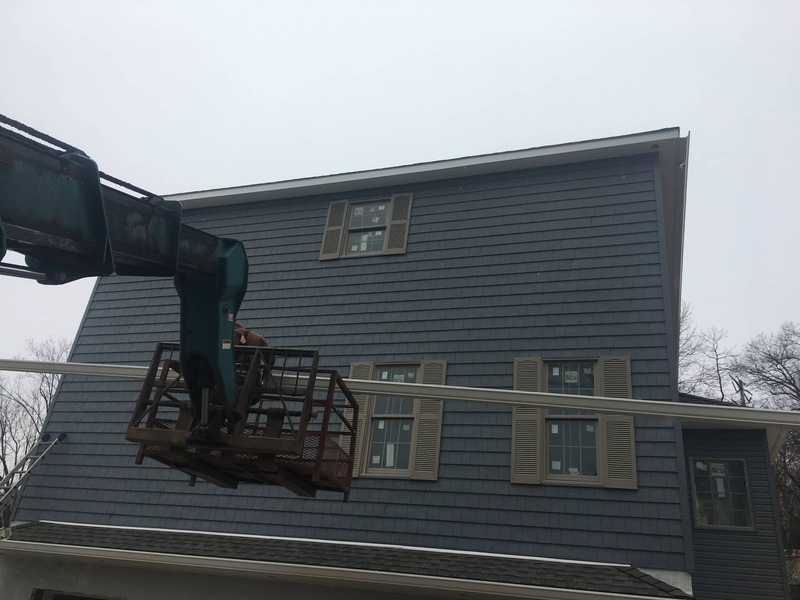 We do our very best to repair your gutters if they are in good condition and consider all repair options before we recommend a gutter replacement. Although we only install seamless gutters, we repair both seamless and traditional gutter systems. We don’t just blow out the leaves from your gutters onto your lawn; we do a full gutter cleaning. 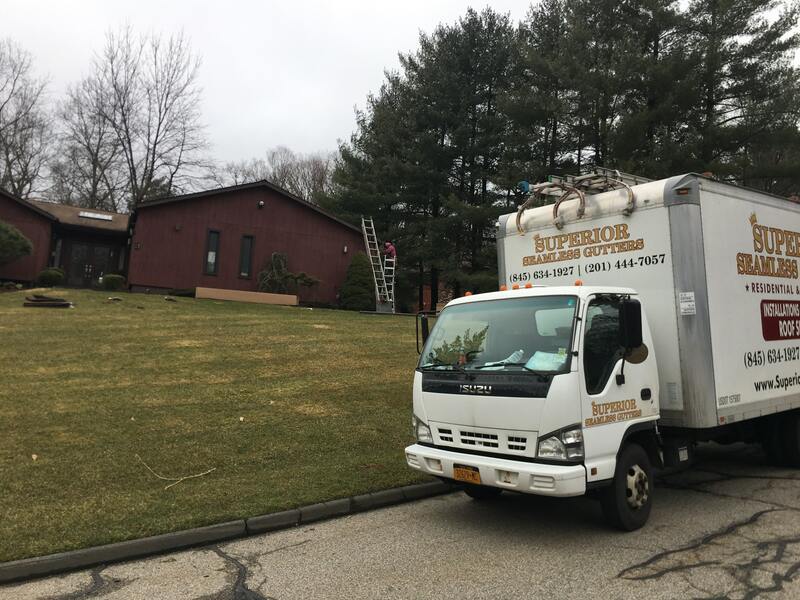 The Superior team removes all debris from the gutters and hauls it away from your property. No mess is left behind. Never want to clean your gutters out again? We offer several gutter cover options that prevent leaves and debris from entering your gutter system. 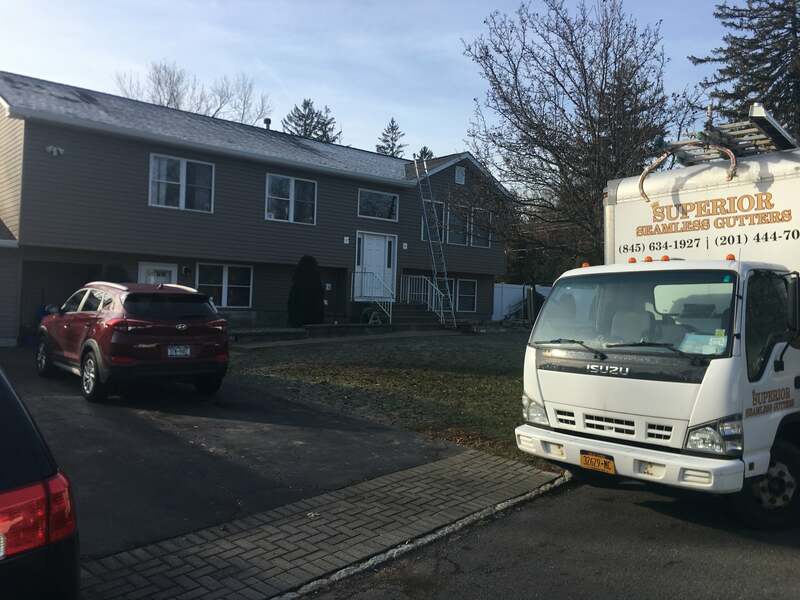 A homeowner from Mahwah, New Jersey recently contacted us because of water issues he was experiencing. 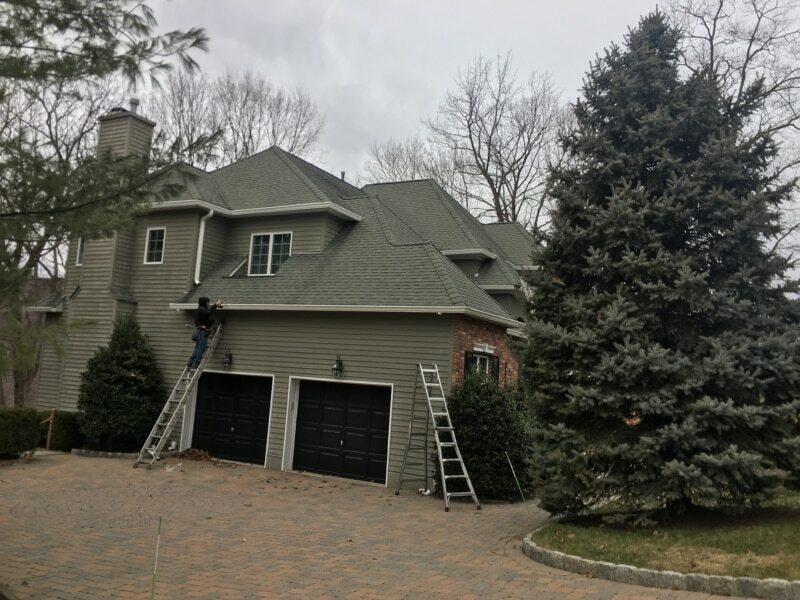 Our on-site measurements and analysis determined that the square footage and pitch of the roof were both too large for the existing 5-inch wide gutters. The gutters were too narrow to handle all of the roof runoff. This resulted in the water issues the homeowner was experiencing. 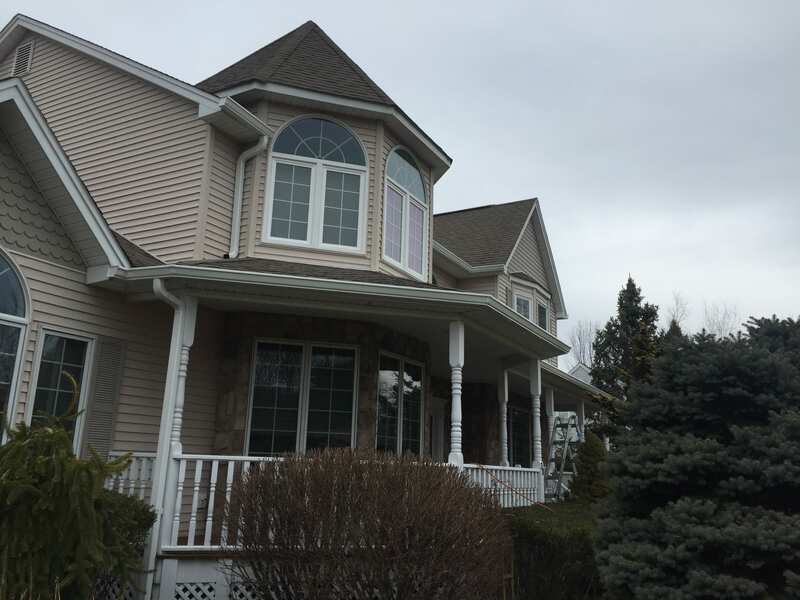 We solved the problem by removing the existing gutter system and installing 6-inch wide seamless gutters that were cut to the length of each section of the home, as shown in the photo at the top of the page. If you are in need of gutter installation, replacement, repair or cleaning give us a call for a free quote.